Light Up the Night is Dirty Cult’s latest venture/party shindig in partnership with the amazingly talented pop artist Queen Sessi and the ferociously fierce drag performer Miss Vanity Q. #LUTNnyc is an LGBTQ+ dance party and performance event that aims to create a safe space for our community and allies to come together, get wild, and celebrate art. 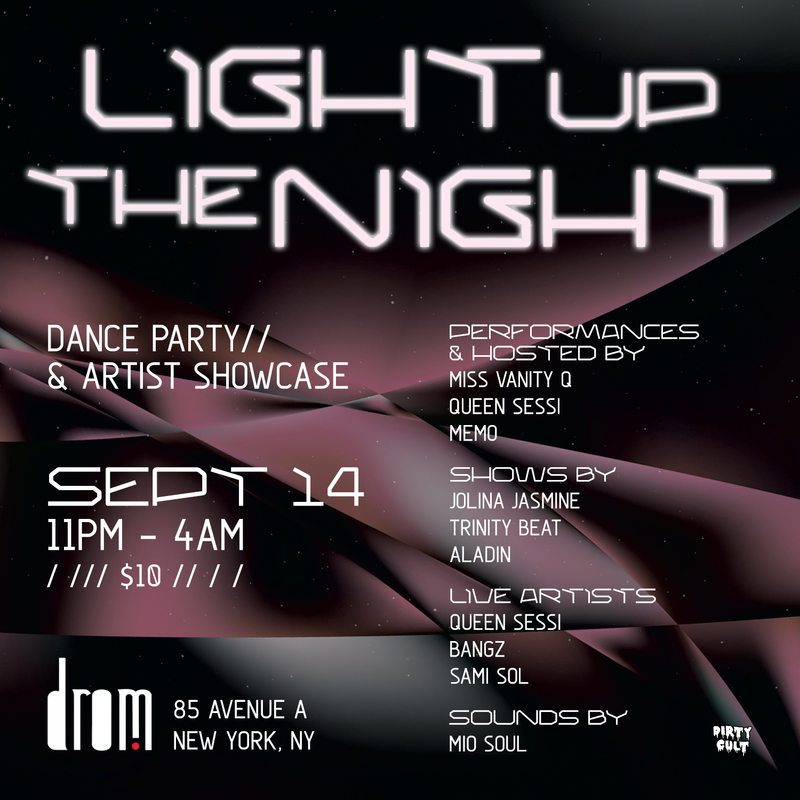 Our opening night went down at DROM in the Lower East Side (09/14), featuring live music performances by Queen Sessi, Bangz, and Sami Sol, and drag shows by Vanity Q, Jolina Jasmine, Trinity Beat, and Aladdin. Hosted by Dirty Cult’s Tara Byte!